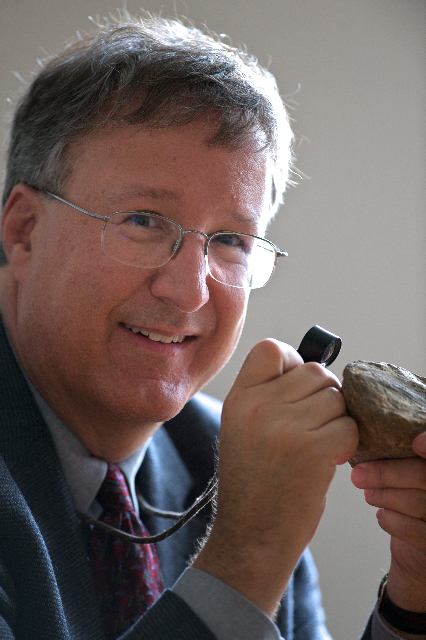 The fifth recipient of the GeoCUR Undergraduate Research Mentor Award is Mark Wilson, Lewis M. and Marian Senter Nixon Professor of Natural Sciences and Geology at The College of Wooster. Listen to an interview with the awardee (hit the “play” arrow below the image). Read the press release from the College of Wooster. The photos below were taken by Krista Herbstrith (NAGT) at the NAGT/GSA GeoEd/CUR Awards Luncheon at the GSA Annual Meeting in Baltimore, Maryland, November 3, 2015. The group photo has pictured (left to right) Laura Guertin, co-chair of Mentor Award Committee, Mark Wilson, Lee Phillips, chair of GeoCUR Division.